Send us your computer for a thorough diagnostics and replacement of the defective component in the computer system. We then perform a 24 hour operational test before we return it to you. Repairs come with a 90 day Warranty on services performed. If multiple components are found defective, a refurbished or new computer may be necessary. If multiple components are found defective but the motherboard and CPU check ok*, then refurbishing is your best option. All peripheral components are replaced with current technology including the power supply, video card, memory, and hard drive with new licensed software. Includes thorough diagnostics, 24 hour operational testing and a 6mo Warranty on services performed. *If the motherboard and/or CPU are bad then a new computer is required. In the event that the monitor cannot be repaired, we offer an economical NEW replacement for 19” monitors. Upgrade from 17” to 19” kits also available at our parts store. We also offer repair and refurbish options for consoles too. Call for details. Whether your computer needs a simple repair or needs to be fully refurbished, we have a economical solution to fit your needs. Each computer serviced by us will come with a comprehensive multi point quality control checklist packaged with each unit. *Insured s&h cost of $50.00 will be added to all products. Also available at our web store. When the motherboard or CPU fail then all internal components must be replaced. When building a new computer we only reuse the metal case*. All internal parts are replaced with current technology and licensed software. 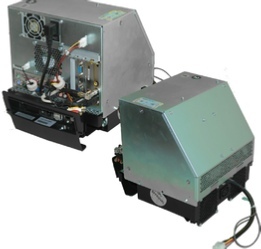 All units include 24 hour operational testing and are backed by a 1 year warranty full warranty. *Applies to upper case only. Does not include lower tray.